Your home can be a place of comfort and refuge. In order to have that comfortable home, proper insulation is often necessary. Poor insulation, unfortunately, can lead to various problems. One such problem is rooms that are colder or hotter than desired. In our modern world filled with technology, regulating the temperature can be fairly easy. When it’s cold, you simply turn on the heat; when it’s hot, you simply turn on the air conditioner. In a poorly insulated house, however, the cold air from the air conditioner or the warm air from the furnace escapes quickly, leaving the room temperature not as comfortable as one had intended. Not having proper insulation can also lead to your air conditioner or furnace working harder and using up more energy. Since your heating and cooling bills are usually depended on how much the furnace or air conditioner works, you may have higher energy bills due to insulation problems. 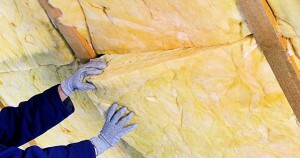 Well-maintained insulation, therefore, can lead you to save money of your energy bills. Proper insulation also can protect your house’s pipes. When the pipes are protected by insulation and are warm enough, the water flows freely through them. However, when you have poor insulation in the winter, freezing temperatures can cause the water to freeze. When water freezes, it expends, which may lead to pipe breakage. This can lead to serious problems, such as flooding. Repairing the pipes and anything else damaged by the flooding can be an extremely costly and time consuming endeavor. Fortunately, there are things you can do to help keep your home well-insulated. 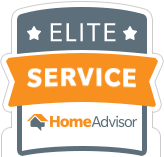 First, you may want to find any places in your house that lets air escape and cover those areas with a sealant, which you would find in your local hardwood store. For larger area, you can build a wall in front of the existing wall. For added insulation, you can place glass wool in between the two walls. Poor insulation can lead to problems ranging from discomfort to structural damage costing thousands of dollars. However, by doing several simple things, you may keep your home well-insulated, comfortable and safe. If you need insulation replacement this summer to save on cooling costs, give us a call at Green Comfort Solutions or click here for a free quote.